Rick Lee who also went to Clearfield High School the same year. We have More…12 beautiful grandchildren and 4 that have passed away. I was a Computer Teacher at Clinton Elementary - I taught approximately 700 - 900 kids a week until I retired from Clinton Elementary. After I graduated from Clearfield High I went to Patricia Stevens Career College for 2 years. I was going to go into Interior Design but I would have had to go to New York for at least 2-4 years for more schooling, and then I would have to go to California for more schooling, but when Rick got home from his mission from New York I decided not to go to New York to school. Then he proposed to me in March and we got married on June 5th 1969 in the Salt Lake Temple. I was working at IRS in the day time and going to school at night in Salt Lake City while Rick was gone for those 2 years. When we got married I worked nights and he worked days so we didn't get to see each other very much, then I had my appendix out the first year we were married. Then I quit IRS so I could see him more and because I had some health problems. Then I went to work at Clearfield State Bank as a check printer until I had our first son, and then I stayed home and raised our 3 children, I absolutely loved being with them. Then when our boys went on their missions then I went back to work cleaning houses with 3 other ladies that were awesome to work with and lots of fun, then when our boss sold her business then I went to Gordon’s Copy Print in Clearfield. After my friend and store Manager Linda Johnson died from lou gehrig’s disease I became the store Manager – I worked there for 8 years. Then my daughter-in-law asked me if I would like to apply for a job at Clinton Elementary so I went for an interview and they hired me and I've been there ever since, and I love the kids and the faculty. I finally had to quit my job in November of 2012 because of health issues, it was really sad leaving everyone! I had my gall bladder removed before I quit working. I have had 2 back operations. They had to take a bone out of my hip and put it in between 2 of my lower vertebrates, put 2 bars on each side of it to support it, then put in 4 titanium screws, & a cadavers bone in my hip on my first back operation. Then I found out I had a torn meniscus on my left knee and had to have that operated on. All of this happened because I slipped and fell at Clearfield High School on some ice when I went to watch our oldest grandson play basketball. I started having problems with allergies, then it led to asthma, then they found out that only 70% of my lungs are functioning so I have to use oxygen at night because I stop breathing. Then I have inflamed bladder which isn't curable, so I have to have treatments to help with the pain. Then I had to have Nissan operation to help my acid reflux where they take your stomach and wrap it around the bottom of you esophagus. and I am going to have stomach surgery soon to help me with my weight because they said I am a high risk for a stroke and heart attack, since I haven’t been able to lose weight because of having to have steroids to help me with my asthma and because of some of my other medications that make me gain weight. Rick went to New York on a mission for 2 years. He worked for DDO, then Ken Holt Company, then to Hill Air Force Base in Computers, there he retired in October 2010. He went to work part time at Lakeside Elementary in West Point as a custodian because they wanted someone who knew how to clean, they really like him there. Plus he was able to see some of our grandkids that went there, & one of our daughter-in-law's that teaches 6th grade. Rick is now working for Davis School District in Nutritional Foods he hopes to retire in 2 years. Going in for Gastric Bypass to help me lose the weight because of health issues. I Love doing Family History! I love computers and learning new things. I love being with my family and watching them play sports. I love doing anything and everything with my family they are so much fun to be around. "Have Faith In Yourself and you can do anything you want to do as long as you put your whole heart and soul into it! Be the Best that you can be!" Jeanne Mower Lee has a birthday today. Jeanne Mower Lee posted a message. Happy Birthday Tonna hope you are having a Wonderful Birthday! I hear you have a Birthday coming up, Happy Birthday Sweet lady! Happy Birthday On the 17th Tonna, hope you have a wonderful day! Hi Celia, how are you doing? I had gastric bypass and lost 101 lbs. Doing good, but found out I have Parkinson's now, but doing pretty good. Where you at now? How many kids do you have? Hope you are doing well! Rick is doing Great! Retired from HAFB but is working for the Davis School District in Nutritional foods. Jeanne Mower Lee added a comment on Profile. Jeanne Mower Lee added a comment on Profile. New comment added. Hi Tonna, I enjoy seeing your pictures on Facebook, it is always good to hear from you. I'm glad you had a Great Mission, that's Awesome! Jeanne Mower Lee posted a message on Sherryl Jensen's Profile. Hi Sherryl, how have you been doing? Hi Darlene, how are you. We get to see Larry and Carol every once in a while, we just saw them at a homecoming on Sunday. Hi Patti, How are you? Rick use to live in Mesa before he moved here, small world. 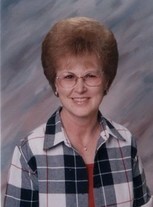 Jeanne Mower Lee updated profile. View. Jeanne Mower Lee posted a message. New comment added. It is so good to see how you are doing. Jeanne Mower Lee changed profile picture. Jeanne Mower Lee joined via Class Connection Facebook app.